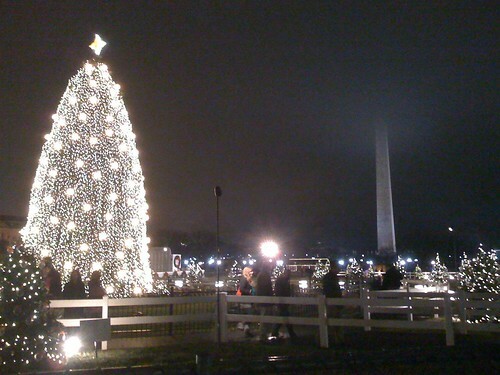 there’s a big ol’ national christmas tree full of white lights in front of the white house. fun to visit at night but bundle up! it’s chilly out there. and if you’re wondering what happened to the top of the washington monument in the photo, it’s still there – just fogged in. i forgot my camera and took these with my iphone… not the clearest but not bad. glad i had it. maybe santa will bring me the new canon 5d mark ii this year! happy holidays. 20 Dec	This entry was published on December 20, 2008 at 8:22 pm. 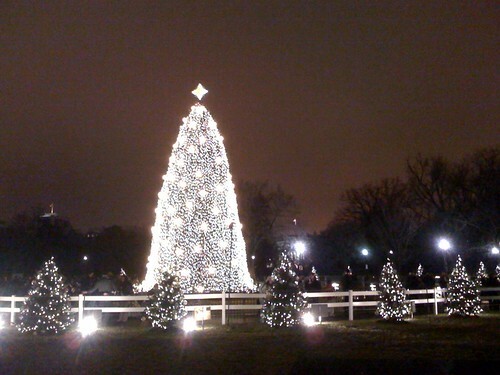 It’s filed under holidays, photo entries and tagged christmas, holiday, national christmas tree, photos, washington dc. Bookmark the permalink. Follow any comments here with the RSS feed for this post. Newer: are the animals talking? 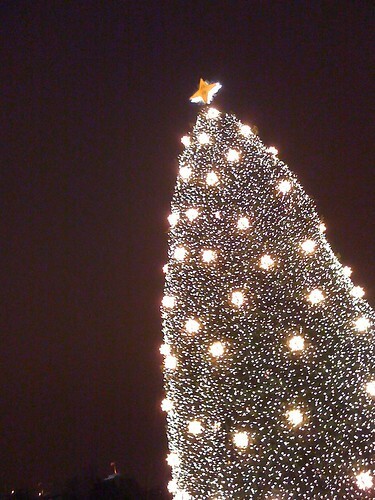 I THINK OUR TREE LOOKS SAD…COME ON IS THIS THE BEST WE COULD DO IT LOOKS LIKE A CHEAP BLANKET OF MINI LIGHTS. NO COLOR NO NADA ! PLAIN AND UGLY ! Beautiful. 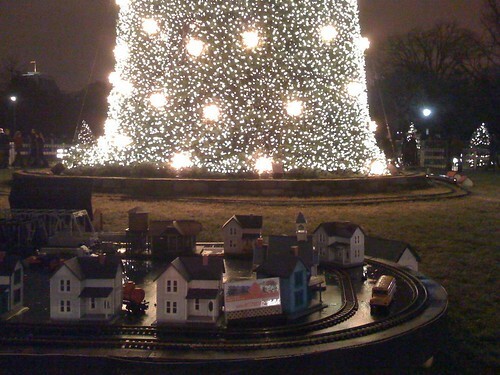 The Christmas Tree brings me so much joy this time of the year.